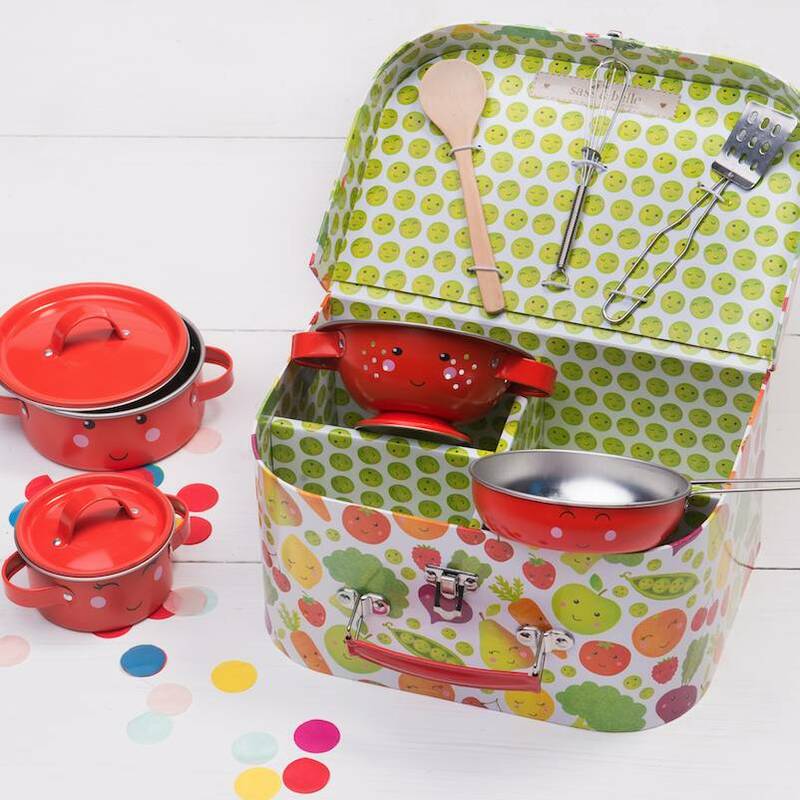 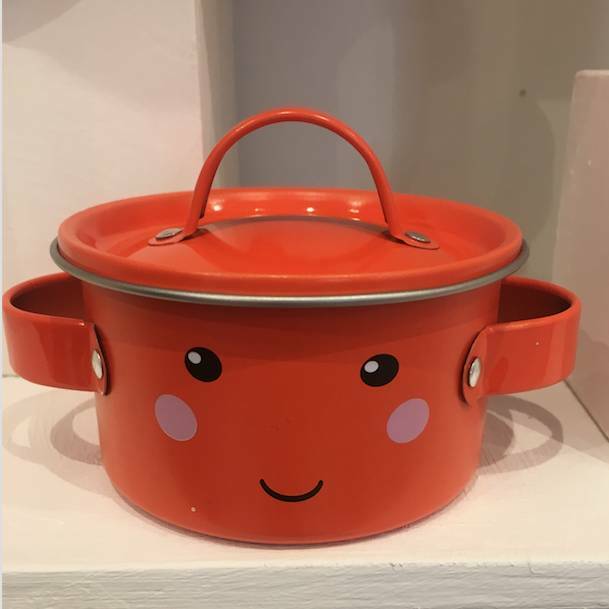 Our bright orange kitchen has a colander, two pots and a pan featuring cute little smiling faces this set a perfect gift for any cookaholics! 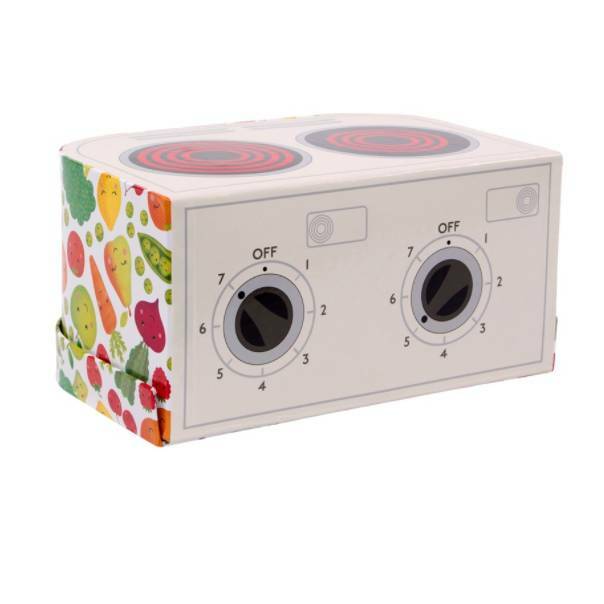 Underneath the carry case is the hob , pick up and go , ready steady cook ! 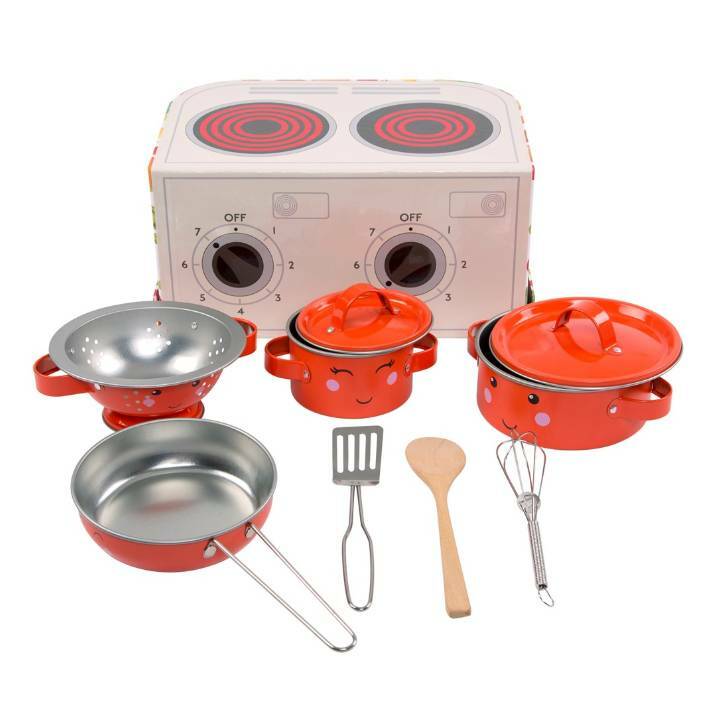 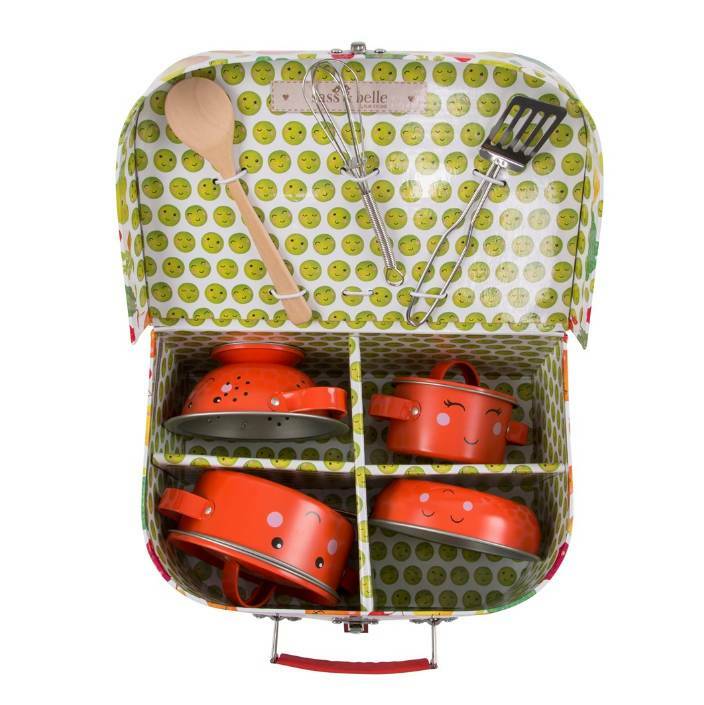 The set includes a colander, two pots and a pan feature cute little smiling faces and a spatula, wooden spoon and whisk also come in the set! 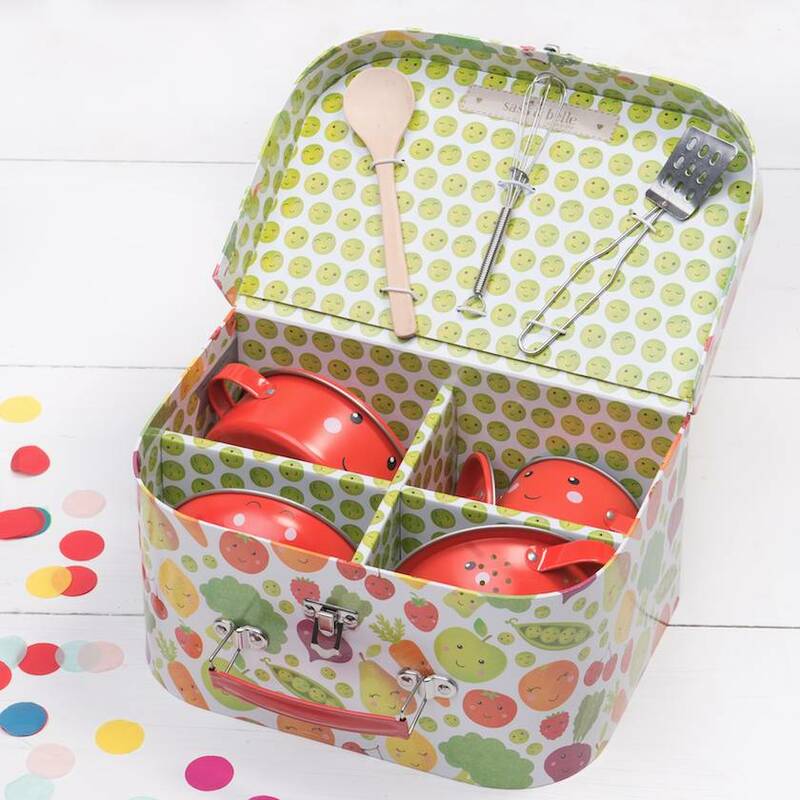 Contained within a case featuring our Happy Fruit & Veg design print on one side and a hob design on the other, this kit has everything! 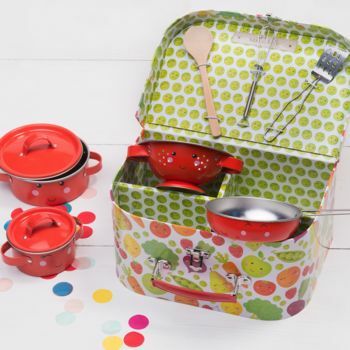 Feed their Imagination and maybe the next Bake Off generation will be born !